Asus O!Play is a popular digital multimedia player allowing users to enjoy local, networked and internet multimedia content in full-hd quality supporting a wide range of formats. 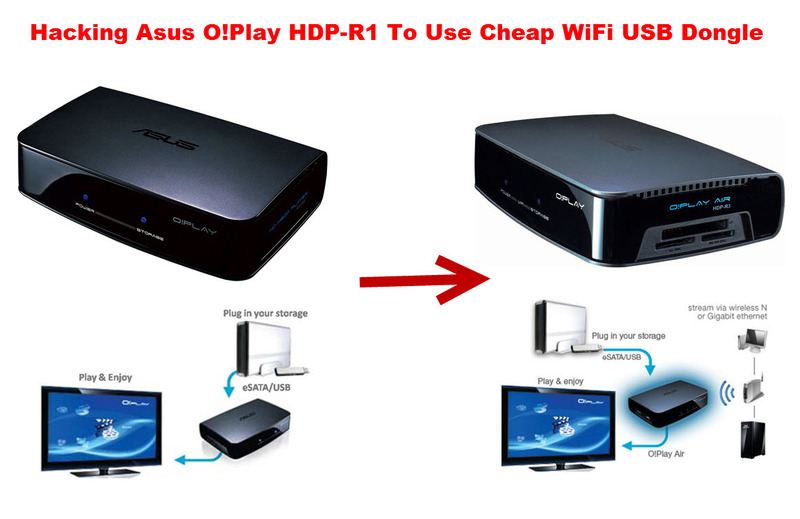 The player has two models Asus O!Play HDP-R1 and Asus O!Play Air with the only difference being the "Air" model having WiFi connectivity option. Interestingly all a user needs to do is to hack the device firmware on HDP-R1 model, to use cheaply available common WiFi USB dongles out there enabling WiFi functionality similar to O!Play Air model at much cheaper price. 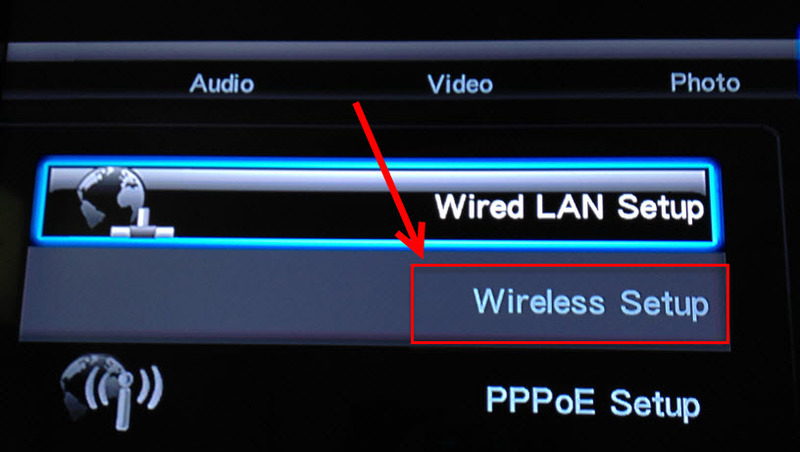 Basically, we will be flashing the O!Play Air (HDP-R3) firmware to HDP-R1 model so it is able to detect the connected WiFi adapter. CAUTION : Although, I had personally tested this there are chances if something goes wrong you will have an bricked unit. This will also most probably void your warranty so proceed at your own risk. 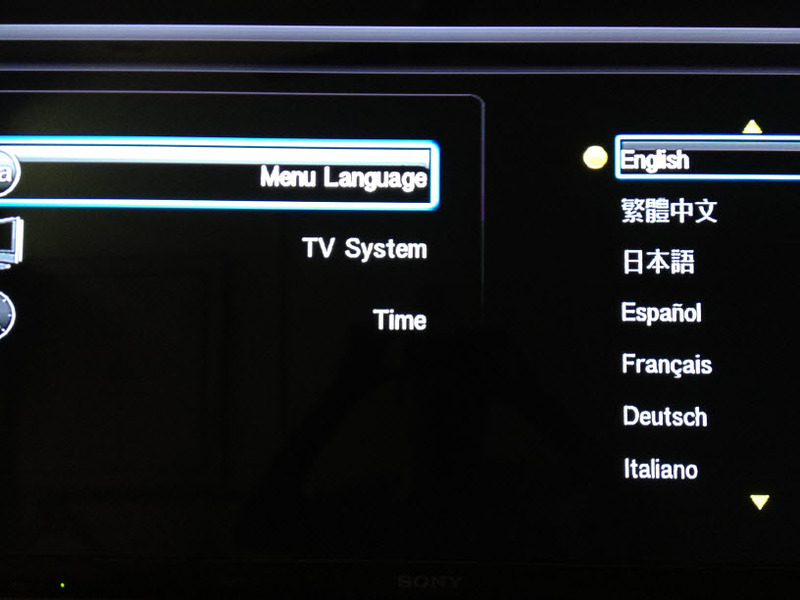 Goto Asus O!Play support website and download latest firmware for both HDP-R1 and HDP-R3 (Air) model, make sure you save them separately and the firmware corresponds to your TV system (PAL or NTSC). Read firmware upgrade instructions and save both downloaded upgrade files to two different USB drives (one can work but two are better). Insert usb-drive with HDP-R1 firmware into O!Play's USB slot. 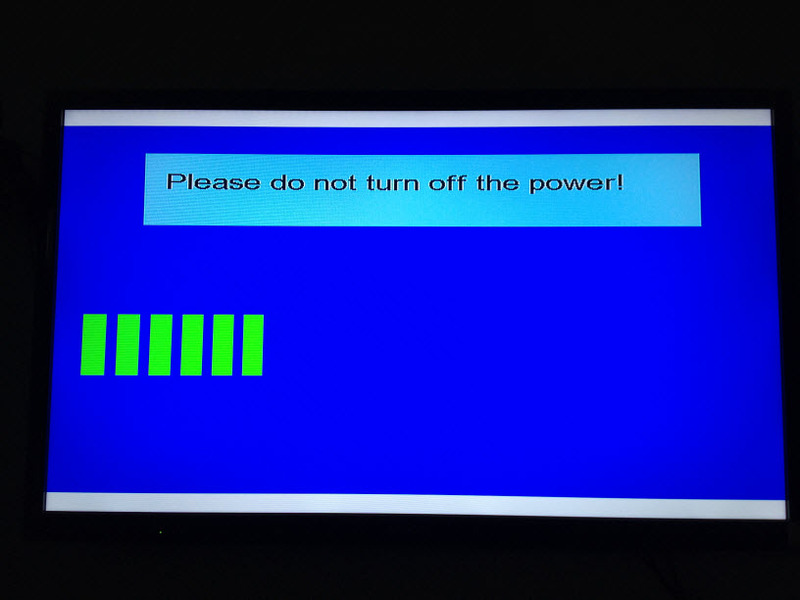 Connect the Media Player to your TV and then turn on the Media Player. 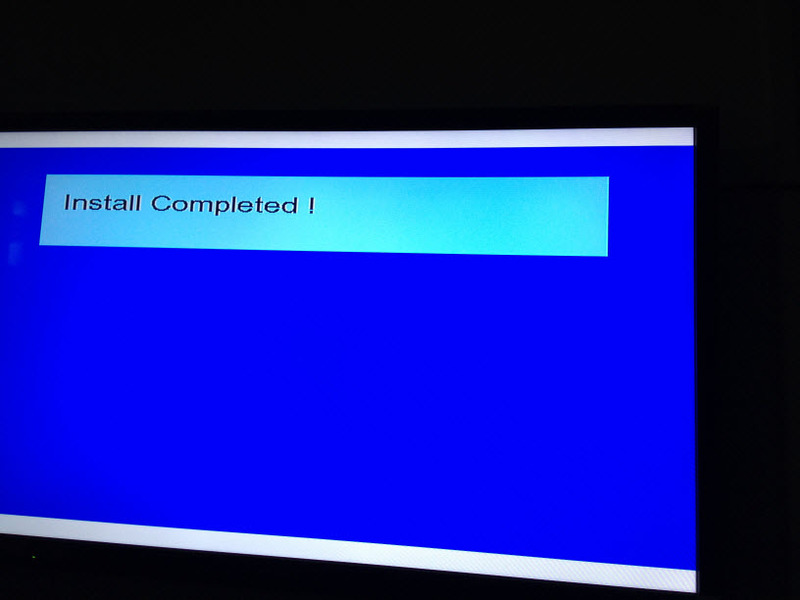 Press the Setup button on the Remote controller and the setup screen will be displayed. Right after you confirmation, the screen will go black and blue LED gets red on device, at this exact moment unplug the power from your O!Play. 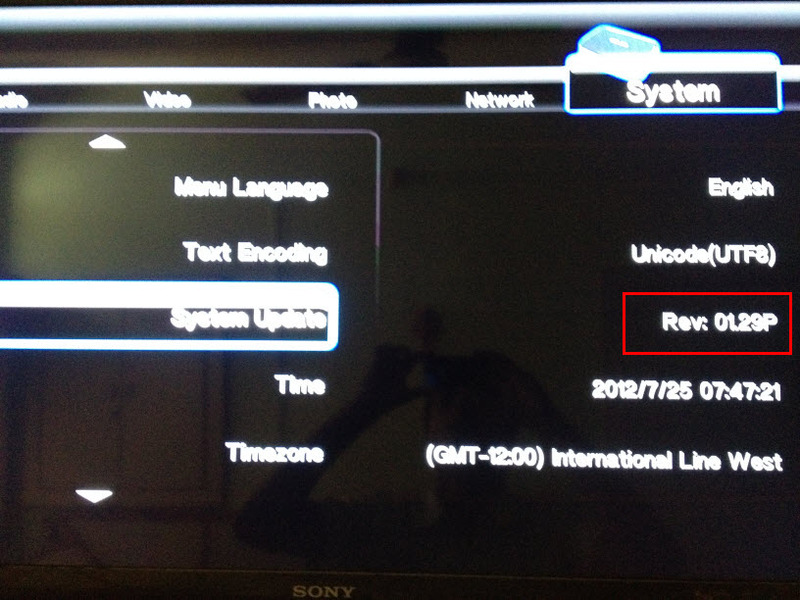 Now, switch the USB flash drive with the HDP-R3 (Air) firmware and power-on O!Play. The upgrade should now proceed with R3 firmware. 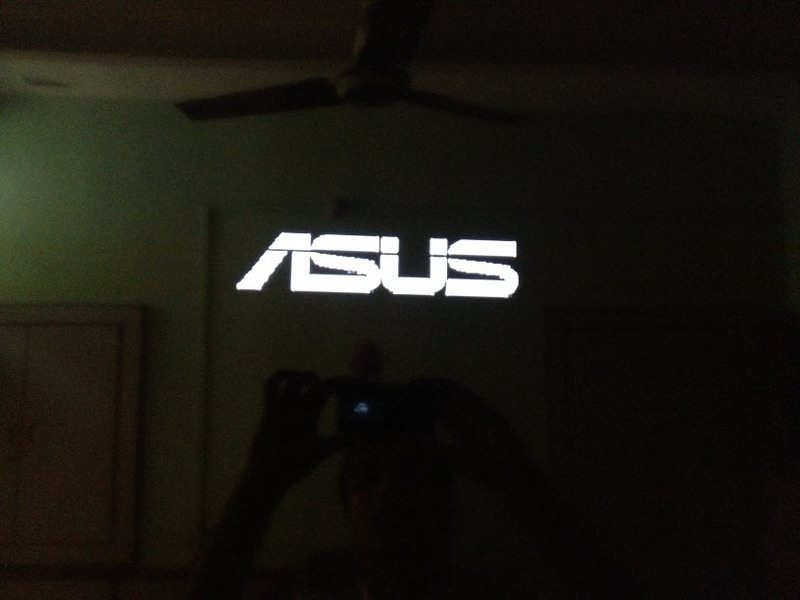 Once, upgraded Asus O!Play will reboot and following screens will be shown. 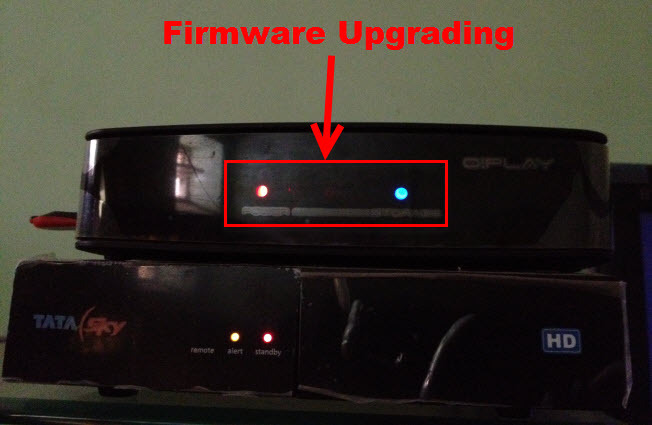 If you check the firmware version now, it will show the Air firmware version. If we go to network tab, it will now have an Wireless networking option. This option is dimmed, as we have not plugged in an compatible WiFi adapter. Follow this link or buy any compatible cheap USB WiFi dongle (Realtek 8191 Chipset based) and you should be ready to go wireless. I am awaiting shipment for my order of Realtek 8191 Chipset based "300Mbps USB Wireless Adapter" to test things out, I will be posting an update as soon as possible. UPDATE : I finally received my Realtek 8191 Chipset based "802.11n/g/b 300M Wireless WiFi USB 2.0 Adapter from Aliexpress (cheapest directly from China with free worldwide shipping) and it worked without an issue - as simple as plug-n-play. can you tell which wireless adapter u ordered nd frm where ? 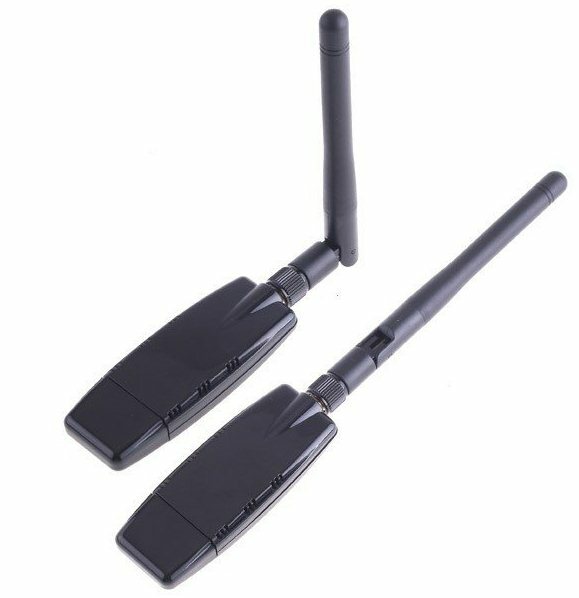 I ordered this one - http://www.aliexpress.com/product-gs/458780500-300Mbps-USB-Wireless-Adapter-WiFi-Network-Lan-Card-Free-Shipping-Wholesale-wholesalers.html , do keep in mind I have not yet tested this to be working. I managed to use what appears to be the exact same wireless adapter as in this article (USD $7.59 shipped on the slow boat from China), and it worked perfectly as indicated. I had one hiccup during the flashing procedure, however: I found that it hung on me at the "Preparing for Update" screen when I swapped USB drives, so I powered down the ASUS, removed the second USB drive, and then replaced the first IMG file with the HDP-R3 (Air) IMG file. Then I plugged the first USB drive back in and powered-on the O!Play and it proceeded to continue with the update to the HDP-R3 firmware. So I would suggest using the same thumbdrive instead of using two different drives. The overall problem is that the wireless throughput using this adapter just isn't high enough for HD quality audio/video streaming. It will probably be fine for DVD quality SD content or perhaps even low-bitrate 720p MKVs with AC3 or 2-channel stereo, but a high bitrate bluray rip will stutter something fierce....you really need to have wired lan access to watch your 1080p content with this box. I am using this adapter to perfectly stream 1080p movies from second floor to first floor, I suspect your router might be the culprit - is your wifi router labelled 300mbps ? This worked like a charm. I ordered the wifi device listed in a thread above. I used a single USB drive and swapped out the img file after reboot. 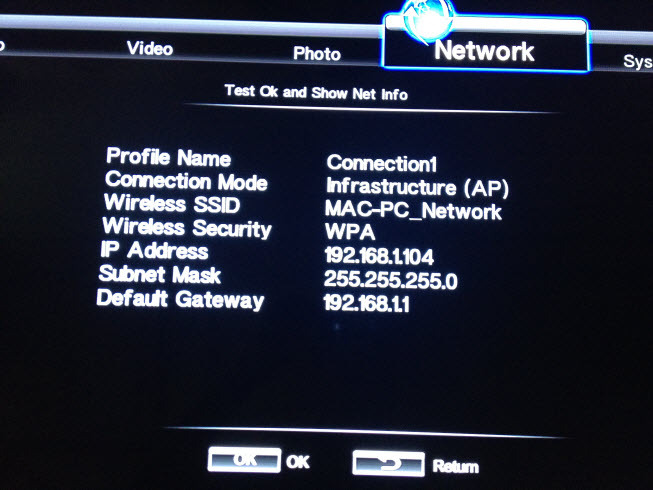 I had one issue where the wifi adapter didnt support WPA2, so I had to change my router settings but that's it! Maybe you should try again, I have WPA2 Personal setupped at my router and Asus OPlay after this hacks picks up and works fine. I have downloaded both the firmwares as mentioned by you so will i be able to connect to wifi with a compatible wifi adapter once i update it? If everything is same as mentioned in the post including the current firmware on your device it should work just fine. When I connect my USB for firmware upagrade, oplay is not able to read the USB? You must read the firmware upgrade instructions carefully and format your USB as instructed in the guide provided by ASUS. 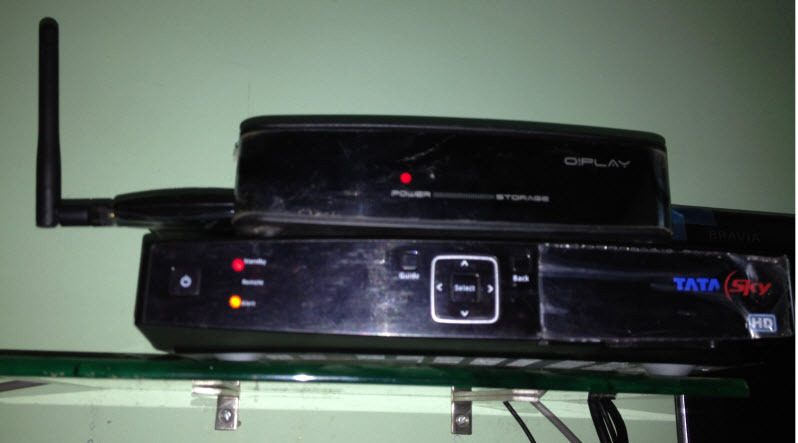 Hi Deepesh, i have been using a Asus oplay air for over two years now. But youtube viewing is sorely missed. Can you help me and show me if there is a way? Have a look - https://www.google.co.in/search?q="Asus+oplay+air", research and you should get your answer. I have same problem as the latest comment. I followed your link in aliexpress to buy the same wifi dongle adapter, but when i connect to hdp-r1 flashed to R3, the wifi setting is dimmed and grey, cannot change. A new chip or a new firmware blocking this hack could be the possible reason. Upgraded my firmware ,now it's like a brick, any suggestions? Can u please tell me which USB lan wifi adapter should i purchase which is compatible with oplay hd r1 apart from the one you mentioned. Great info, I did find an easier method though. Open the install.img file with a hex editor (I have used HxD), then search for HDP, you will find some xml, change the value in the description element from HDP-R3 to HDP-R1 and save the change. Now you can just use this file for updating your R1, without the need for unplugging the power. Great post. Will this work in any wireless wifi adapter? Algun otro adaptador wifi que funcione?